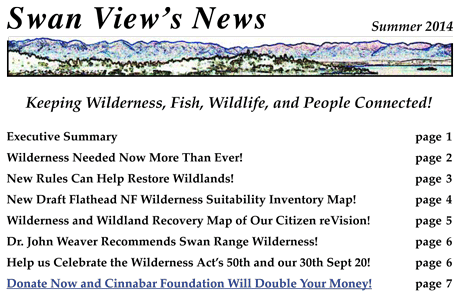 Our Summer 2014 edition of Swan View’s News describes how new Forest and Travel planning rules dovetail with the Wilderness Act of 1964! 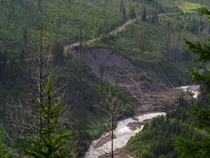 It explains how now, more than ever, we need to advocate for more Wilderness designations and wildland recovery! Be among the first to DONATE NOW and Cinnabar Foundation will again double your money! Click here to view or download the Summer 2014 newsletter.